The strategic plan introduces the three core elements through which we will achieve transformative learning. They will be woven into the fabric of the university and become the defining ingredients of who we are, and also what we aspire to become. 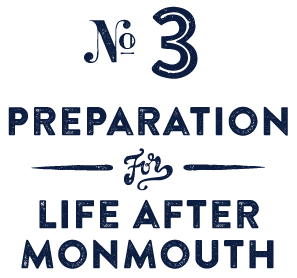 Monmouth holds a place of strong stature, a private, mid-sized, primarily residential university that is comprehensive in nature yet with a broad underlying commitment to the liberal arts. The university’s commitment to excellence and integrity in teaching, scholarship, and service has not wavered, nor has its underlying values and mission: to educate and prepare Monmouth students to realize their potential as leaders and to become engaged citizens in a diverse and increasingly interdependent world. The sea change taking place in higher education is creating widespread disruption to the long-time status quo, and universities must seize the moment to respond to changing conditions. 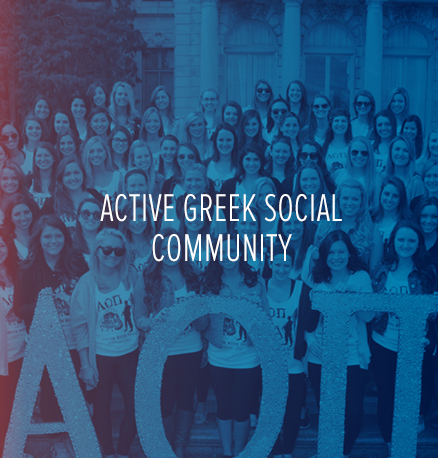 At Monmouth change must be thoughtful and deliberate, and, where appropriate, bold and courageous. 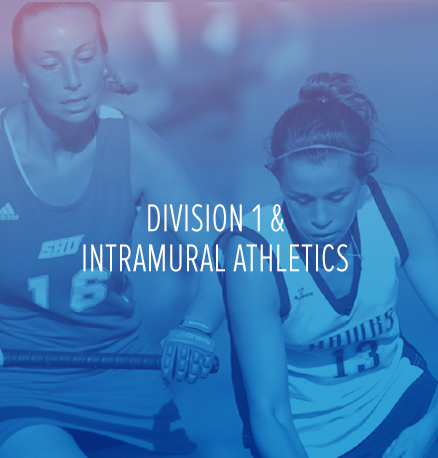 Monmouth is singularly positioned to offer an academic experience that infuses divergent yet highly sought-after elements of higher education. This plan has at its core three essential elements, the building blocks on which this transformation of the education experience will take place. 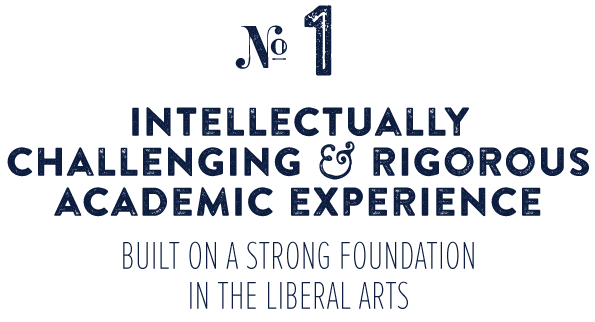 They represent what we believe are the critical components of Monmouth education, the defining characteristics that shape our identity and distinguish the university from any other. Most of all, they are the indispensable ingredients for how we will prepare young men and women for the lives ahead of them. 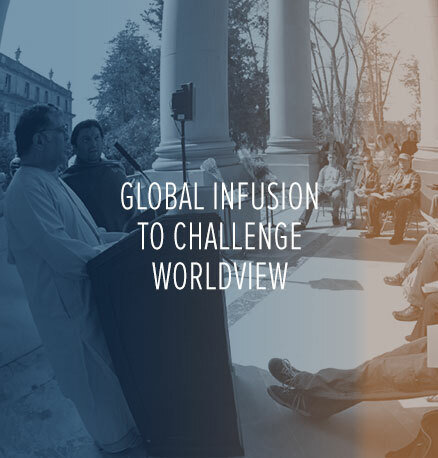 Monmouth will extend its strong legacy as a liberal arts institution, helping shape young minds by challenging them to think critically and exposing them to curricula that enhances their cultural and global literacy. 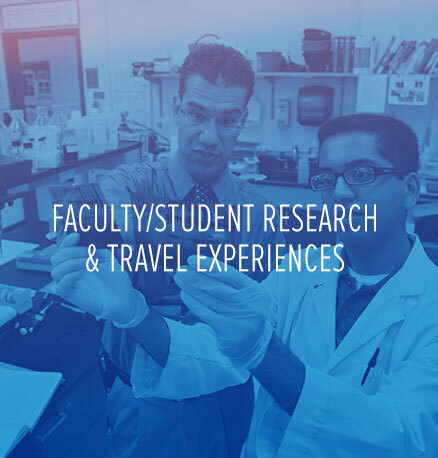 At the same time, given our size and position as a primarily residential university, Monmouth shares many of the positive characteristics of larger research institutions, including a comprehensive array of career-specific program offerings. A rigorous and stimulating core curriculum is a defining component to the academic experience of many students, so much so that such a curriculum holds the promise of strengthening our identity among students and beyond. Immersing students in a demanding college experience built on a regimen of reading, deliberating, writing, experimenting, and discussing will not only provide a break from the pedagogical approaches they have experienced previously, but, importantly, enhance their capacity to think and learn. 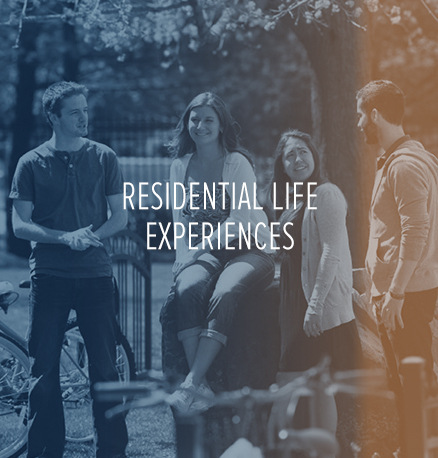 The impact of the student experience will be to ignite their curiosity, to help uncover latent passions and to apply a greater sense of purpose while at Monmouth. This personal experience will, in turn, help inform more formal areas of academic study, giving them greater direction to select majors, minors, and graduate programs that will continue to stoke their interests. Transformative learning does not just take place in a lecture hall but through a variety of ways, some experiential, technological, collaborative and innovative. Our objective is to build a campus-wide culture of teaching excellence that includes such elements as: linked-learning communities, first-year and senior seminars, active-learning pedagogies, study abroad, common readings, experiential education opportunities, teaching technology, community-based participatory research and service-learning courses. We recognize that these elements work best when they are coordinated, supported and more widely integrated into disciplinary curricula. 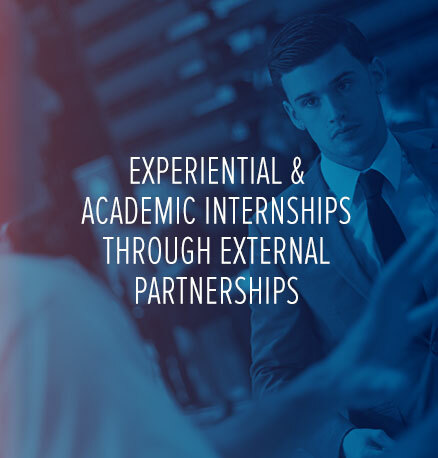 Comprehensive preparation, particularly for undergraduate students today, requires learning beyond the classroom, and so it is critical that Monmouth students have access to internships, practicums, and even employment opportunities during their course of study. Our focus will be to increase programs and external partnerships, which will, in turn, provide opportunities to help give students a competitive advantage. 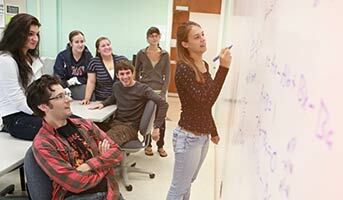 For Monmouth’s undergraduate students, a university education must not only help them transition productively and responsibly from high school and develop as interdependent adults, but it also must assist them in unearthing the talents and interests that ultimately will guide them in choosing a career. To prepare students for active citizenship and successful careers, we will continue to emphasize and expand upon the range of developmental and professional opportunities that are available to students. 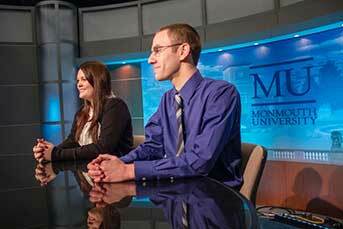 Just as important is the capacity for Monmouth students to form enduring relationships with faculty and staff. 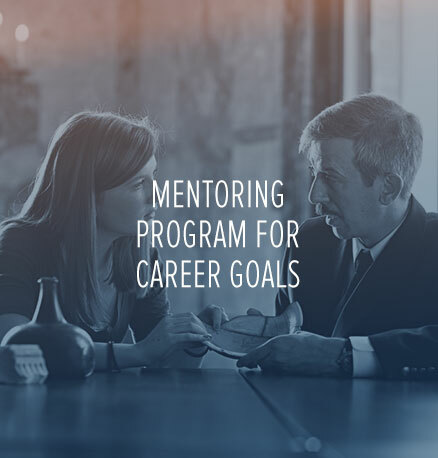 Such mentoring relationships provide critical, ongoing direction that helps students navigate college life, and more long-term, creates bonds of support that continue throughout their lives, whether it be in providing job recommendations, advising on career matters or simply serving as a sounding board for important life decisions. These connections often make a significant difference in students’ lives. 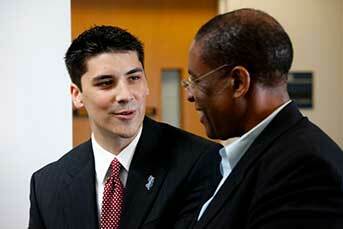 Monmouth’s strong alumni network also serves as a valuable resource to the university’s students. 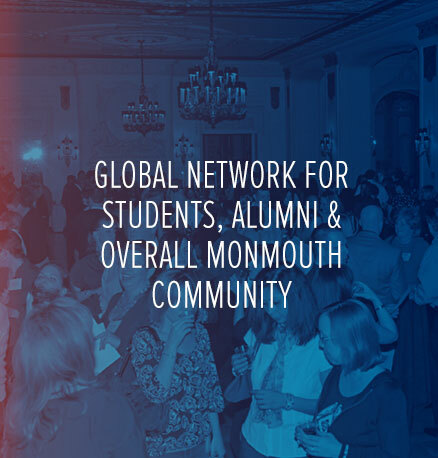 Recognizing that engaging our alumni in a meaningful and ongoing way is critical to our success on several fronts, we are committed to enhancing opportunities for alumni to share their talents and connections with Monmouth students. Our alumni will continue to serve in important roles: as sponsors of new programs and initiatives on campus, as mentors to students, as guest lecturers in the classroom, as members of school advisory committees and as adjunct faculty. 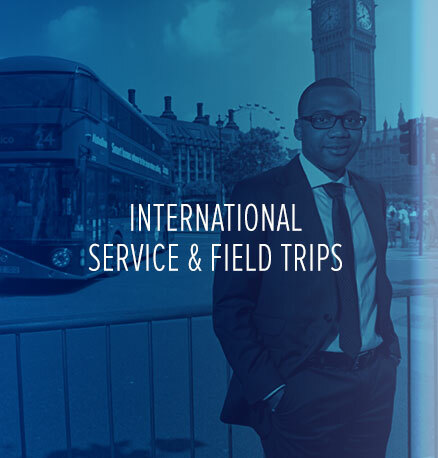 Located in the center of one of the world’s largest metropolitan regions, we are ideally positioned to help our students develop and pursue their career interests. As we further invest in developing partnerships to enhance learning, our objective will be to optimize our students’ access to experiences that give them a competitive edge in pursuing any number of career endeavors. on educating students in ways to enrich their knowledge and inspire their intellect, as has been our tradition. students with new experiences inside and outside the classroom and afford them opportunities to test the waters of their life’s passion. them to talented and dedicated faculty and staff whose wisdom and guidance will be available to them for years to come. And we will create occasions for students to interact with the Monmouth network, alumni whose fidelity to the Monmouth mission represents an invaluable resource. 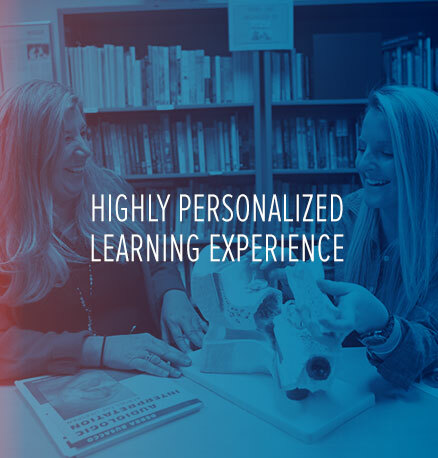 Collectively, the three core elements capture the signature personalized learning experience we aspire to offer every Monmouth student. 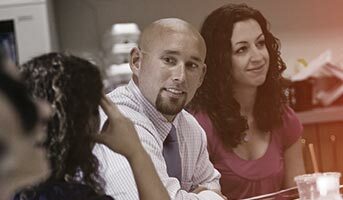 These elements are essential to both undergraduate and graduate studies, and when tailored to both the specific programs and students’ individual needs, the result is a transformative-learning experience – for everyone. 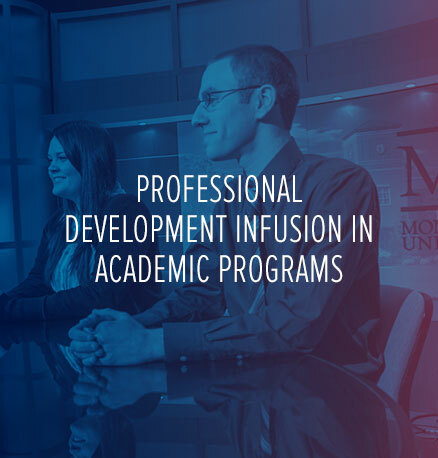 Monmouth’s graduate students particularly value opportunities to engage very closely with faculty, either on our main campus or our nearby campus at Monmouth Park Corporate Center. By emphasizing market-relevant graduate programs tied to strong student demand, together with our faculty expertise in departments and through the Centers of Distinction, we will raise our commitment to graduate education in the years ahead to new heights. 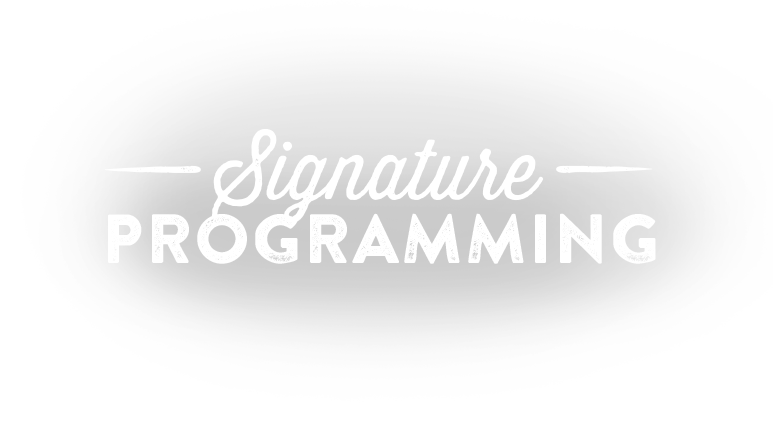 Going forward, we will develop more customized, trans-disciplinary graduate programs (e.g. 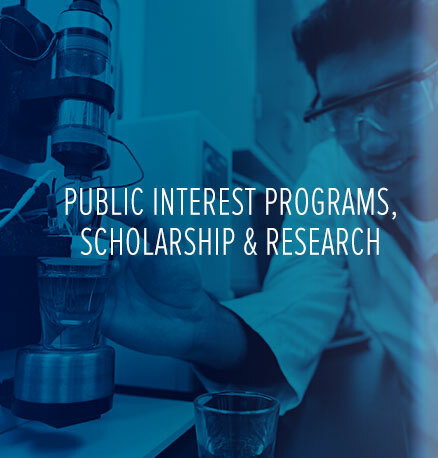 business, communication, technology, health sciences, public policy, coastal studies) that meet the specific needs of regional and national employers and provide our graduate students with a solid foundation for successful careers. On all these graduate fronts and more, our plan is to continue and sustain this ambitious trajectory based on a methodical analysis of program market relevance tied to strong student demand and faculty expertise. The plan is a shared, interdependent commitment. It represents our stewardship of a collective vision of a new Monmouth University, one that will distinguish itself for its intense focus on a transformative learning experience that enables students to reach their potential and enter a world prepared to contribute the best of themselves. Transformation takes time, and it takes effort. Most of all, however, it takes passion, and our passion as a university is unwavering. We have chosen now to plant our trees – our journey together is just beginning, yet that journey will bear fruit now and for future Monmouth University students.